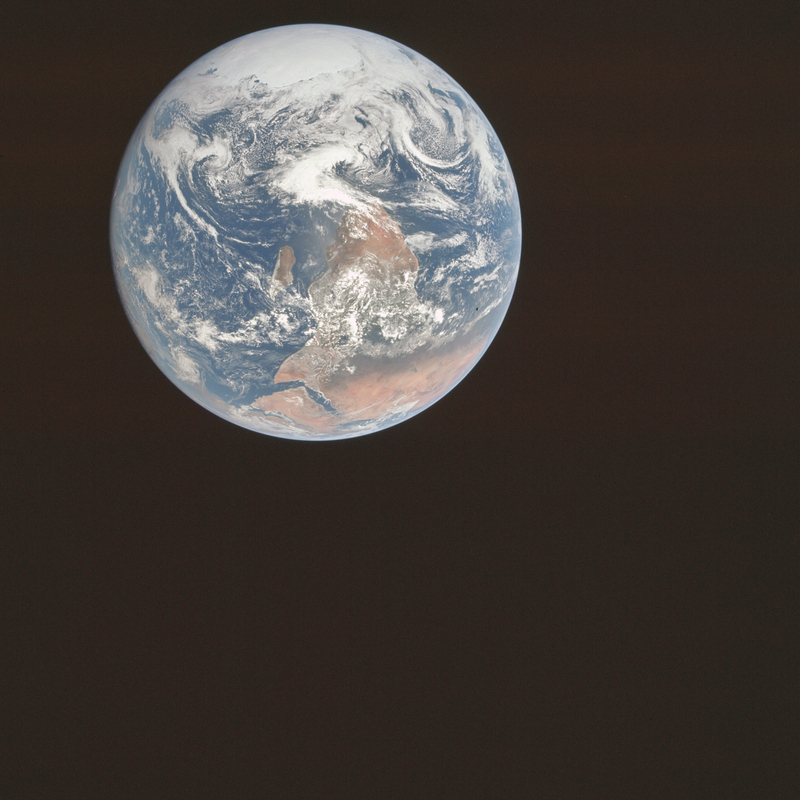 Long before the famous Earthrise photo taken by Apollo astronauts, creating an image or map of the entire known world was a singular human endeavor. Imagine a half a millennium earlier when only those who had traveled could describe distant lands. Imagine watching the hustle and bustle of merchants and sailors returning to the port of Venice. What stories could they tell to paint a portrait of our planet? Fra Mauro, a Venetian monk and cartographer from the mid-15th century, made it his life’s work to chart the course of merchants and travelers in order to create the most definitive map of the world. Accounts from travelers interviewed by the monk are found throughout the map as citations of integrity. No sailor’s tale was too mundane or merchant chart too crude for Fra Mauro. He wanted to chart the known world as traversed from the Mediterranean to the horn of Africa and to the far reaches of the Orient. While Fra Mauro’s map had characteristics of other medieval maps of the period—a circular format with pictorial representations of cities and towns—he wanted to break from the divinely inspired maps of the Dark Ages. There were no embellishment of dragons and monsters, Jerusalem was not at the center, and the map was not oriented with East at the top where Garden of Eden was often depicted. Even locations defined and recorded by Ptolemy were not automatically given a reference on Fra Mauro’s map. He opposed literary and cartographical tradition of other mappaemundi such as the existence of the legendary giants Gog and Magog from the region around Mount Caspian. He excluded these giants from his map because none of the first-hand travelers’ accounts he had heard mentioned these mythical creatures in the region. Deciding what to include and what to exclude on a map has always been at the discretion of the cartographer or the one who commissions a map. This is true even today with images (maps) created from satellite data. This Blue Marble was created using data from the MODIS instrument onboard the Terra and Aqua satellites. Data from months of observations were combined to create a view of the planet without clouds. For this Geographia pairing, we use an orthographic projection of the Blue Marble data slightly tilted and cropped to mimic the Fra Mauro map. The comparison is stunning when you consider that Fra Mauro compiled his data from the travel tales of myriad 15th century sailors. Apollo 14 Landing Site, accessed 14 Jan. 2014. The Blue Marble image was created using MODIS data. Caption by Ginger Butcher.